The University of the Fraser Valley wrestlers posted a series of solid results at the SFU Clansman International on Saturday in Burnaby. Competing against elite opponents from across Canada and the northwest United States, Brad Hildenbrandt, Karla Godinez Gonzalez and Marko Kolobara were the Cascades’ top performers. Hildenbrandt battled his way to the bronze medal in the men’s heavyweight (125 kg) division. The Surrey, B.C. product posted a 4-1 record, highlighted by a win over the University of New Brunswick’s Charles Thoms – an alternate for the Rio Olympics – in the consolation semifinals to advance to the bronze medal match. He secured the podium finish with a 10-0 win over Justin Ramgotra of the Alberta Golden Bears. UFV rookie Godinez Gonzalez, likewise, was competing against some tremendously strong opponents in the women’s 53 kg division. She managed a 2-2 record, which was impressive considering that her losses came against a pair of athletes – Cara Nania and Farah Taj – who have represented Canada internationally. While Hildenbrandt and Godinez Gonzalez were competing in open international divisions, Kolobara was in the collegiate men’s 78 kg bracket, where he finished second to Ben Burgess of Douglas College. The SFU event was the last pre-Christmas tourney for the Cascades. They resume Canada West conference action Jan. 7 at the Golden Bear Invitational in Edmonton. Kayli Sartori took over the game in the final minute, sparking the University of the Fraser Valley women’s basketball team to a 68-66 road win over the Brandon Bobcats on Saturday evening. In the Cascades’ final conference game of the fall semester, Sartori saved her best for last. The fifth-year guard/forward from Chilliwack, B.C. scored a game-high 29 points, including the last four points of the contest at the free throw line. She also had a couple of clutch defensive plays in the dying seconds to help deliver the victory. UFV improved to 5-3, good for sixth place in Canada West, while Brandon fell to 3-7. The Bobcats had handled the Cascades 75-62 on Friday behind 37 points from Keisha Cox, and it looked to be more of the same early on Saturday – the hosts hit three of their first four attempts from beyond the arc and raced out to a 13-4 lead. But the Cascades maintained their composure and responded with a 12-2 run, en route to a 37-35 lead at halftime. Much of their offensive mojo came from Sydney Williams, who went 4-for-4 from three-point range in the first half. UFV pushed the lead to 52-41 midway through the third quarter after a Sartori and-one layup, but the Bobcats’ Mikaela Stanton heated up at that point – she scored nine points over the next five minutes, including a pair of three-pointers, to cut the deficit to 57-52 heading to the fourth. The Cascades struggled offensively for much of the final frame, allowing the Brandon to find some traction. They reeled off an 8-0 run, capped by Stanton’s fifth triple of the night, to take a 62-60 lead with 2:40 remaining. The Bobcats’ edge was 64-62 with less than a minute left after UFV’s Taylor Claggett secured a rebound in traffic after a three-point miss by Kylee Howard. Sartori got into the paint and drew a foul with 22 seconds left, and calmly swished both free throws to knot the score. With the shot clock turned off, the last shot appeared to belong to the Bobcats, but Sartori stepped in front of a pass intended for Cox and bolted the other direction, ultimately drawing contact at the rim with 3.9 seconds left. Once again, she hit both free throws. After a timeout, Brandon entered the ball to Cox in the post, but her shot over Sartori’s outstretched arms drew iron. Sartori shot 9-of-13 from the field and 11-of-13 from the charity stripe for her 29 points, and she added eight rebounds, four steals, two assists and two blocks. Williams finished with 12 points and eight rebounds, and Claggett had 11 points and nine boards. Stanton paced the Bobcats with 20 points, Lauren Anderson scored 11 off the bench, and Cox had 10 points on 5-of-16 shooting. That Cox managed 27 fewer points than the night before was indicative of UFV’s defensive focus. “Our game plan was pretty much the same as it was yesterday, we just executed it tonight,” Tuchscherer said. “Last night, we left whoever was defending Cox on an island, high and dry. In our video session this morning, we talked about needing five people to stop her and not just one, and I thought the girls really embraced that. One night after surrendering 101 points to the Brandon Bobcats, the University of the Fraser Valley men’s basketball team made a priority of tightening up their defence. Playing on the road in Brandon on Saturday, the Cascades allowed 36 fewer points than they did in Friday’s 101-84 loss, prevailing 76-65 to wrap up their pre-Christmas schedule. UFV (3-5) snapped a three-game losing streak behind a game-high 21 points from Manny Dulay and 16 from Andrew Morris. Brandon (3-7) got 16 points from Girece Kazumba and 14 from Earl Thompson Jr. The Cascades had been on their heels from the start on Friday, but they had some spring in their step to open Saturday’s rematch, racing out to an early 13-4 lead. The Bobcats hung around, but UFV took a 41-39 advantage into the half. Brandon levelled the score briefly late in the third quarter, but the Cascades responded with a 10-0 run, capped by a Daniel Adediran layup. UFV’s smallest lead from that juncture was five points, and Dulay’s three-pointer with just over two minutes remaining – extending the lead to 72-63 – was the dagger. Dulay, the Canada West assists leader, registered five assists to go with eight rebounds and three steals. Morris’s 16 points off the bench were a UFV career high, and Mark Johnson chipped in with nine points and eight boards. The Cascades basketball teams return to action Jan. 6-7, when they host the MacEwan Griffins at the Envision Athletic Centre. 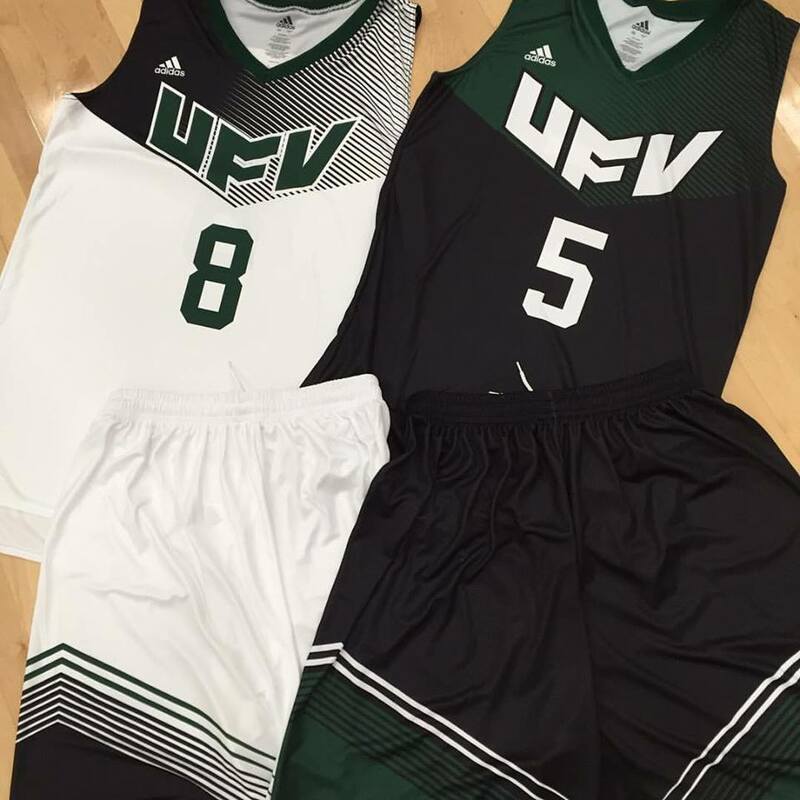 Be the first to comment on "UFV Sports Saturday – Hoops and Wrestling"